One of my favorite ingredients is by far, coconut. 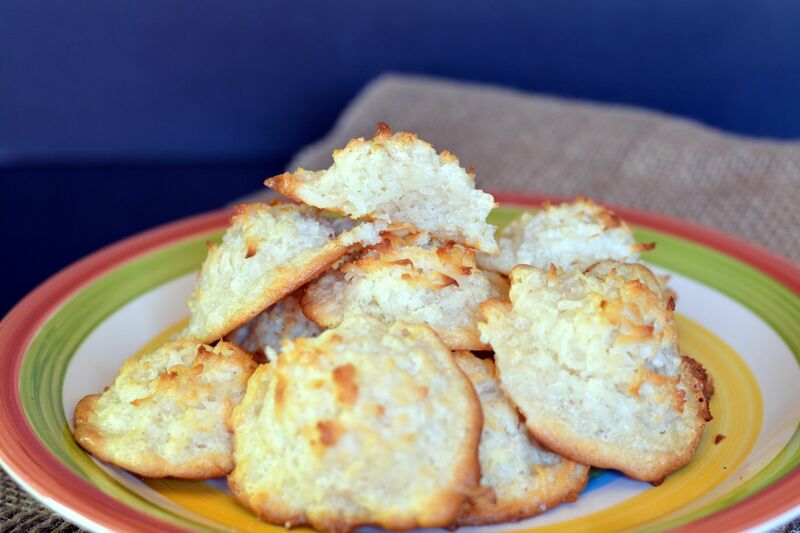 I love tasting something and getting that coconut flavor with each bite which that’s the reason why the Colombian natilla that I make at home always has coconut. 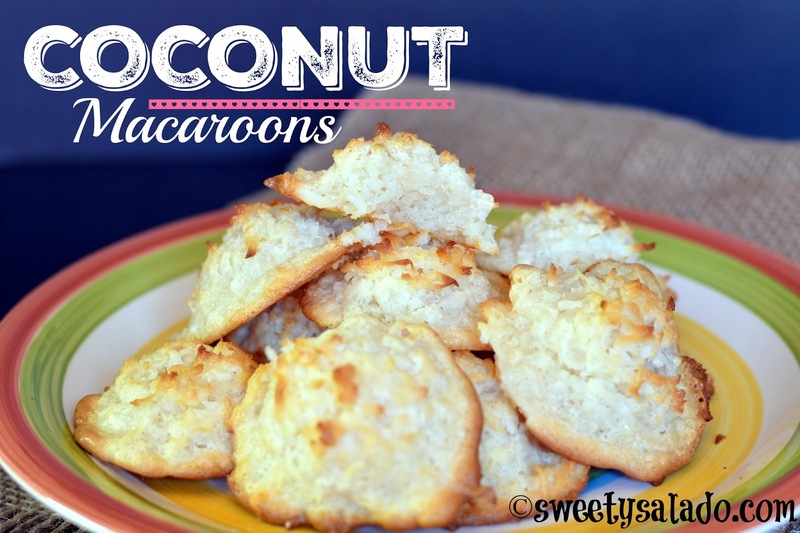 These coconut macaroons are one of my favorites because they are loaded with this delicious ingredient. We have a similar version in Colombia which we call “cocadas”, and I will share the recipe on the blog and YouTube channel as soon as I have time. 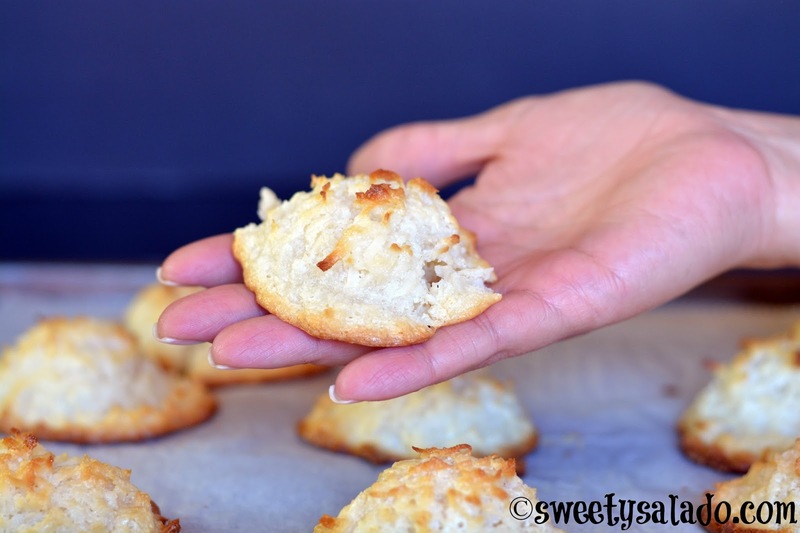 In the meantime, I wanted to share this coconut macaroons recipe with you because it’s really easy to make and because it’s one of my favorite cookies during the holiday season. Pre-heat oven at 325ºF (163ºC). In a large bowl, mix the coconut, condensed milk and vanilla extract. Clean a separate bowl and whisk with a paper towel soaked in vinegar. This will remove any grease they may have. Place the egg whites and salt in the bowl and whisk at high speed until stiff peaks form. Carefully fold in the egg whites with the coconut mixture until everything is well incorporated. Form small balls with the mixture using a 1½ inch (3.75 cm) ice cream scooper and place them on a baking sheet lined with parchment paper. You can also use two spoons to form the cookies. Leave a 1 inch (2.50 cm) space between the cookies and bake the for 20-30 minutes or until they're golden brown. Let them cool before serving.